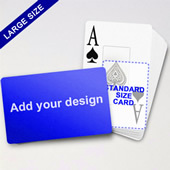 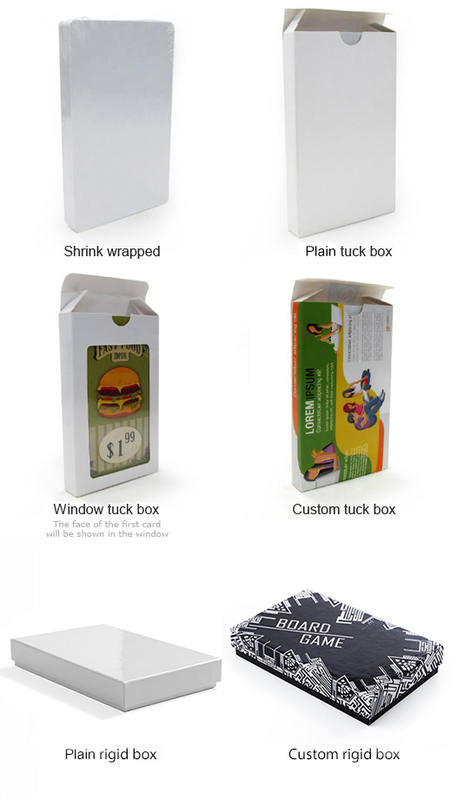 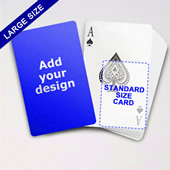 With up to 54 cards including 2 jokers per pack, poker decks make an excellent product catalog. 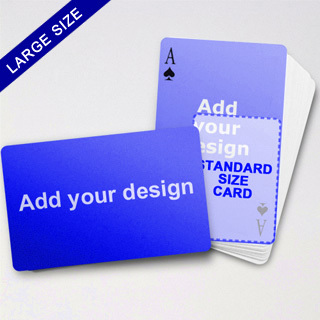 Adding to this ideal format is the reach and life-span of the deck, making it the preferred choice for creative marketers. 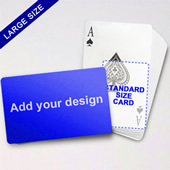 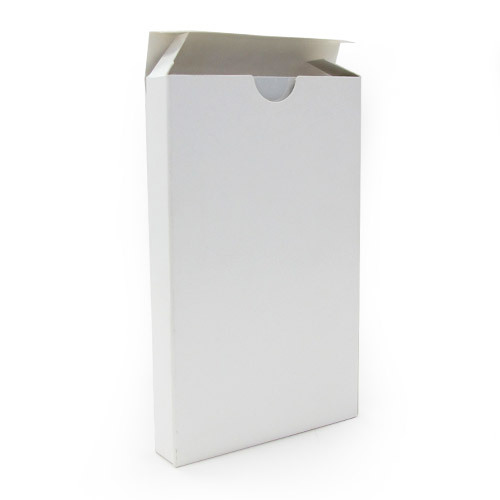 Our cards are produced with the finest 300gsm non-transparent card stock. 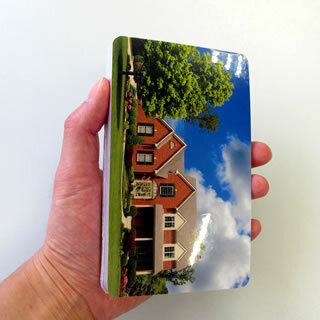 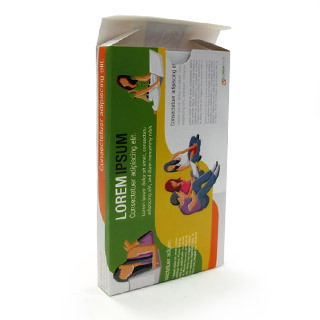 Measure 3.5x5.75 inches, the enlarged surface area provides extra room for you to include both image and basic information of your product on the same side.